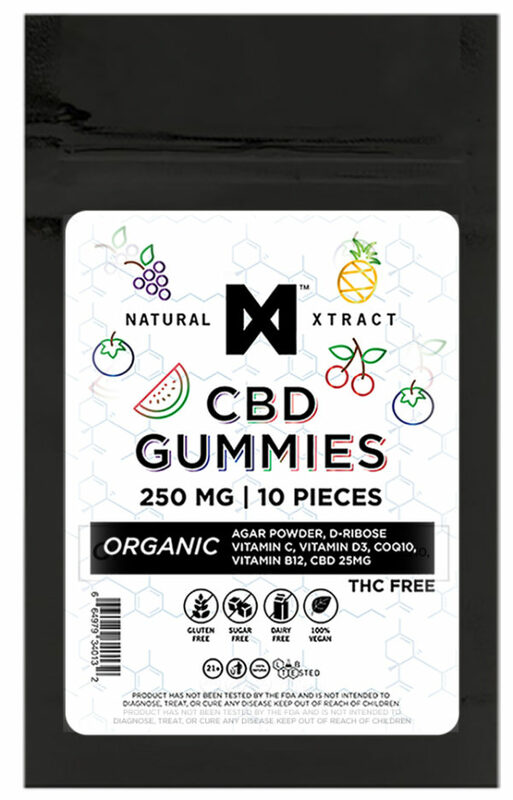 With our organic CBD gummies, whether you’re looking to micro-dose or do a heavy cannabinoid regimen, our Lab-tested cbd edibles are manufactured with flexible dosing in mind. Every organic CBD gummy contains 25mg of naturally occurring, 99.7% organic, CO2 extracted cannabidiol isolate. THC free, and perfectly sized for micro-dosing. Our CBD Oils are 100% natural supplements sourced from high CBD-rich hemp. We have curated the very best collection of CBD products, widely packed with benefits in our competitively priced online store. Incorporate our CBD Gummies into your daily and dietary rituals for an alternative, contemporary take on well-being. Whether to relax or remedy – enjoy your CBD Edibles! All Natural Xtract hemp products are lab-tested.